The Florida Supreme Court on Nursing Home Arbitration – Did they get it right? Arbitration agreements exist all around us. Virtually everyone who reads this is bound to one. You have them with your credit card holders, your auto lease company, with your bank and mortgage broker, and maybe even with your own treating doctor. In almost all of these cases, if a dispute arises and you want to sue, you are going to arbitration, no matter what. That’s because the enforcement of arbitration agreements have become commonplace in state and federal courts throughout the country. It’s not controversial. It’s actually considered a “favored” form of dispute resolution. So much so, that that is written in to the Federal Arbitration Act, and mimicked in numerous state arbitration codes and court case decisions. This is apparently not so when it comes to nursing homes. The Florida Supreme Court invalidated two arbitration agreements last week and in the process appeared to lash out at arbitration as a favored form of dispute resolution but only when it comes to nursing homes. The Court found that limitations in arbitration agreements on the amounts nursing home residents could collect if they were in court “violate public policy” and thus is illegal. In two separate opinions issued on Wednesday, November 23, 2011, the Florida Supreme Court held that arbitration agreements that place limits on remedies or procedures available to nursing home residents under sections 400.022 and 400.023, Florida Statutes (providing rights for nursing home residents), are void and unenforceable as a matter of law. The opinions, Shotts v. OP Winter Haven, case no. SC 08-1774, and Gessa v. Manor Care of Florida, Inc., case no. SC 09-768, reviewed the conflict between Florida’s Second District Court of Appeal and Florida’s First, Fourth, and Fifth District Courts. For over five years, the Second District Court has enforced arbitration agreements, holding that the question of whether a provision contained in an arbitration agreement was against public policy and therefore unenforceable was a question to be determined by the arbitrator, who could sever any provisions it found to be offensive of public policy. Three other district courts, however, have refused to enforce arbitration agreements containing provisions that those courts have deemed contrary to public policy, holding that it is the court that should determine whether the provisions violate public policy and, therefore, make the agreement unenforceable. In Shotts, the arbitration agreement required use of the rules promulgated by the American Health Lawyers Association (AHLA) for arbitration—which included a “clear and convincing” standard of proof instead of the statutory “preponderance of the evidence” standard—and included a waiver of rights to claim punitive damages. In Gessa, the agreement capped the award of noneconomic damages to $250,000 and also included a waiver of rights to claim punitive damages. Unlike in Gessa, the Shotts agreement also included a severability clause that provided that if any provision of the agreement was found to be unenforceable, it could be severed from the agreement. Are arbitration agreements between nursing homes and their residents now a thing of the past? The answer is no, however these Supreme Court decisions have declared void and unenforceable any agreements that contain liability or procedural provisions that limit nursing home residents’ rights contrary to sections 400.022 and 400.023. 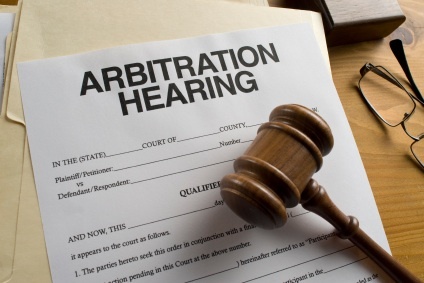 Therefore, many currently-existing arbitration agreements will be deemed void under these decisions. Further, these decisions require the courts—not the arbitrators—to determine whether other agreement provisions are contrary to public policy and, if so, whether those provisions go to the heart of the agreement making it void or whether they are severable and arbitration can proceed. Therefore, we may see residents or their representatives challenging other provisions, which have been overlooked while the courts focused on the limitations considered in these cases, in an attempt to force the courts into making additional public policy decisions. Wishing everyone a very Happy Thanksgiving from all of us at McCumber Daniels! Please let us know if there is a legal topic that you would like to learn more about, or send your inquiries to info@mccumberdaniels.com. Also, visit our website at http://www.mccumberdaniels.com. 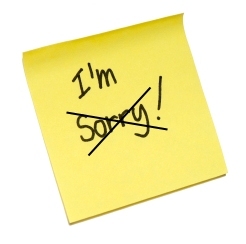 Many states are now passing laws commonly referred to as “apology legislation” which is designed to allow medical professionals to express empathy for, and take ownership of an unforeseen outcome without the risk of retaliatory litigation based solely on the statements made at the time of the apology. However, this is only part of the problem. Recent studies have shown the communication process and policies need to be improved for nurses to disclose errors. A study set for publication in the January 2012 issue of the Journal of Nursing Care Quality reveals that almost one-third of respondents were less likely to disclose an error if they believed they might be sued or reprimanded. The reason given was that they thought efforts toward supporting and educating nurses who might report errors was inadequate. This study implores healthcare facilities to look within and consider changes in their policies and procedures which encourages disclosure when an error occurs. Importantly, education and training should stress accountability when mistakes happen. The nurse must be taught at the outset that it is their professional responsibility to report their mistakes as well as mistakes of their colleagues. The institutions should strive to alleviate fear that an error will result in the immediate dismissal and focus on a case by case analysis which provides additional in-service training to ensure mistakes are not repeated. Indeed, the focus must be changed from a climate of blaming individuals for errors, but should be treated as opportunities to improve the system and patient safety. New Courtroom Tactic: 3-D Images, Friend or Foe? I turn away from the video simulation, tears swelling in my eyes. The images from this exhibit have shaken me to my core and I am fairly certain that I have already made up my mind on what my vote is, even before the closing statements. Litigation support services such as 3-D images and video simulation are a rising commodity in trial preparation and in the courtroom. Companies are offering graphic artist and computer animating services to recreate the injury or basis for the claim. Some of the 3D visualizations include accident reconstruction, surgical procedure recreation and still 3-D medical diagrams and illustrations. In some cases, the animations are accompanied by background music to increase the mental stimulation and bring the dramatization to a higher level. Realistic and often graphic images and videos can play a vital role in the emotional determination of the jurors. Living in a society where we are barraged with advertisements and television is one of our favorite pastimes, it is not surprising to learn that, “jurors retain very little, perhaps as little as 20 percent, of what they hear. 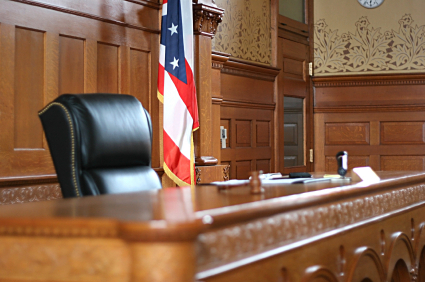 The retention rate goes up significantly, to as high as 60 percent, when they see something, and research has proven that jurors retain over 80 percent of what they simultaneously hear and see.” Regardless of whether it is the plaintiff or defendant who has opted to invest in cutting edge courtroom graphics, these 3-D images and videos may be extremely persuasive in swaying the jury toward the desired outcome. With a growing population of over 76 million, the “generation Y” individuals are now entering the work force. These techno-savvy young adults have grown up with computers, text messaging, iPods and instant access to information. In the future, the jury box will become increasingly full with the 21st century occupants, and advanced technology may become of absolute assistants. Switch to another courtroom situation: I am watching a poorly constructed 3-D reenactment in a property dispute. The simulation has, in fact, created more confusion for me about the facts than I had before seeing the video. I feel that it has made it harder for me to determine who is negligent in this situation. Although these animations can be extremely helpful, where they are poorly executed, their use can be counter-productive. The main function of these simulations is to take complicated and technical facts and turn them into visually dynamic, clarifying and cohesive trial evidence. If the facts are not brought to life in a way that is easily understood by the jury, these visual aids can act as an enemy and have the potential to negatively sway the jury. The bottom line: make sure your exhibits act as a friend, not a foe. American Bar Association. The Journal Of The Section of Litigation Vol. 27 No. 3 Spring 2001 pgs 41-44. Social media is a fast and inexpensive way for companies to disseminate information about its products and services. It also helps businesses connect quickly with their customers by allowing them to give almost instantaneous feedback on any issue. Many times people are more comfortable expressing themselves via Facebook, Twitter or other social media sites since they are communicating daily in their personal lives in an informal way that these mediums facilitate. This informality, however, makes businesses more susceptible to new areas of cyber risk. 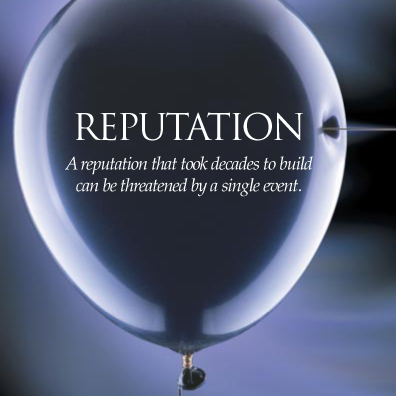 Reputational damage is emerging as a significant concern among risk managers as danger lurks in many ways when a company sets up its website, Facebook page or Twitter feed. We all know that people and companies can be painted with a broad brush, and people tend to remember the negative over the positive, and just one wrong comment can taint a lifetime of hard work to build a strong reputation. A single employee can make a controversial posting that gets attributed to your company; these opinions can even rank high in search engine results, always haunting your company. A consumer may make inflammatory comments about your competitors, which if not monitored aggressively, can be seen as tacit approval. Inappropriate photos, links, and messages can also damage your reputation. Danger lurks almost everywhere. There are potential HIPAA violations, copyright and trademark infringement, libel and slander, and reputational damage that can be done by commenters who blast you. The best way to help insulate yourself or company from these issues is to have strong policies on social media use and diligent monitoring of your sites. Don’t allow negative comments to go unresponded to. Start a constructive dialog with the consumer. If they are way off base, they will likely show their true colors when responding with measured reasonable responses. For employees, clear and unambiguous policies and procedures are a must. Lay out the specific rules employees must follow, with education regarding the dangers of informal social media posting. Certainly the positives that can be gained by use of social media cannot be denied and will continue to grow as the technology evolves. It is important though to think about potential areas of risk to help anticipate the problems can arise from corporate use of social media.